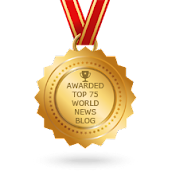 A News Aggregator That Covers The World's Major Wars And Conflicts. Military, Political, And Intelligence News Are Also Covered. Occasionally We Will Have Our Own Opinions Or Observations To Make. WNU Editor: The above picture is from this photo-gallery .... Sputnik's Best Photos of 2018 (Part 1). 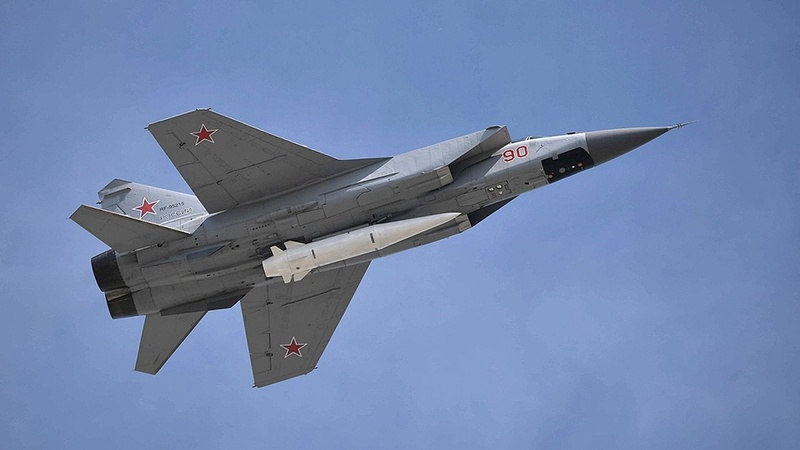 Anna Nemtsova & David Axe, Daily Beast: Putin Claimed His Hypersonic Missiles Were Invincible. Then He Jailed the Developers. Back in the ‘re-set’ era, Russian scientists collaborated with the West to develop hypersonic re-entry vehicles. Now the FSB claims some of those scientists were spies. MOSCOW—Russian President Vladimir Putin frequently boasts about this country’s new hypersonic nuclear weapons, intercontinental missiles capable of flying 20 times faster than the speed of sound. The Russian leader reminds the world again and again that because of these weapons no anti-missile system can deprive Russia of its military power, simply because nobody has “invincible” missiles as fast as Russia’s and nobody else has its secret technology. But when Putin praises the scientists who design the rockets he neglects to mention that some of the most brilliant minds behind Russian hypersonic research are behind bars, under investigation for treason and accused of leaking secrets to foreign colleagues now classified as enemies of the Motherland. WNU editor: These Russian scientists are being used by the Kremlin as an example to other scientists that collaborating with Western scientists may have a price. 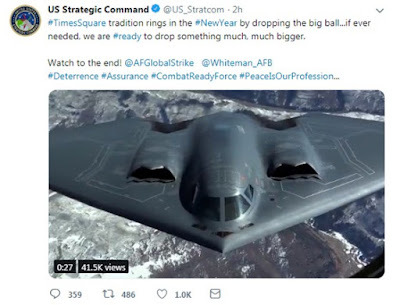 An official Twitter account run by the United States military posted and then deleted a video on Monday bragging about dropping massive bombs. The tweet, which was posted as Americans get ready to ring in the New Year, noted that the ball was set to drop in Times Square when the clock strikes midnight late Monday. The U.S. government says it's okay to kill Taliban insurgents battling American troops in Afghanistan. Apple says it's not okay to kill the Taliban in a video game. The technology giant pulled a wargame simulating the current war in Afghanistan from its App Store last month. “Afghanistan '11 is a simulation of the U.S. campaign in Afghanistan (an expansion pack features Britain's Royal Marines). 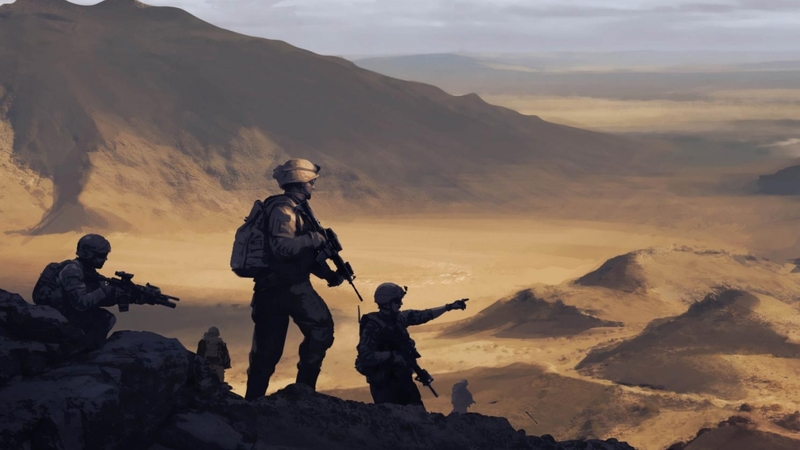 It's a detailed simulation where players assume the role of a U.S. military commander, who must perform counterinsurgency operations such as hunt and destroy Taliban fighters while not antagonizing the local population." WNU Editor: It is just a game. 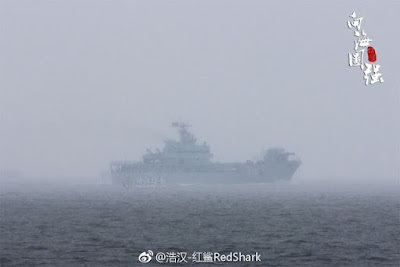 China has beat America in placing railguns on ships, but how far ahead it actually is, that’s a good question. According to a new report, China may have beaten the U.S. to mounting a railgun on a ship. 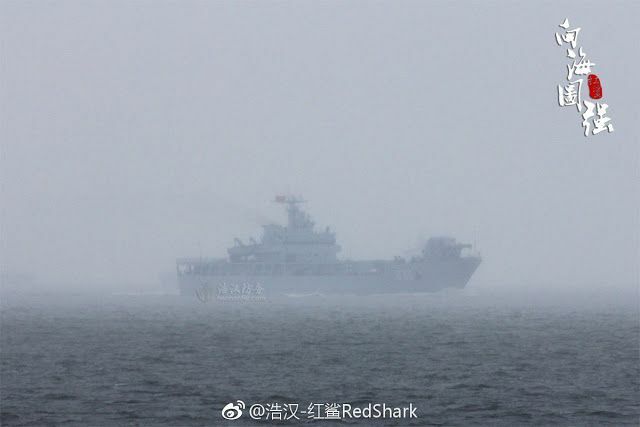 A naval vessel called the Haiyangshan, carrying what appears to be a railgun on the bow, allegedly left the confines of the Yangtze River and is being tested on the Pacific Ocean. First spotted in January of 2018, the railgun appears to be the first put on a warship by any country—the United States included. Whether or not China is actually ahead of the U.S. in the world of railgun tech is an open question. WNU Editor: It is hard to believe that The U.S. was once the leader in this technology. 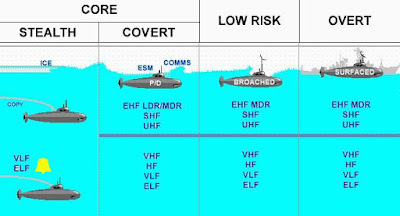 With the largest submarine force on Earth, the Chinese increasingly need long-range communications options that don't require the boats to surface. China has reportedly constructed a massive extremely low frequency, or ELF, antenna array the size of New York City, as well as a smaller system and associated data processing and signal transmission facilities at various locations throughout the country. Officially, the entire system, known as Project Wireless Electromagnetic Method or Project WEM, will support the Chinese resource extraction industry and provide early warning about potential earthquakes. 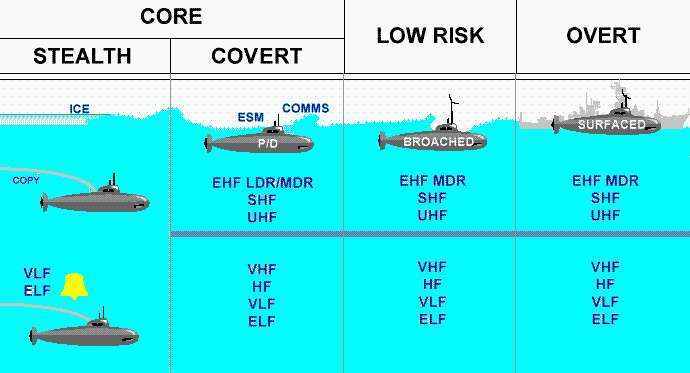 However, there is significant evidence that its primary function may actually be to provide long-range communication with Chinese submarines, a critical capability to support its growing number of nuclear-armed ballistic missile boats. WNU Editor: China is thinking global. Located in Death Valley, California, Star Wars Canyon is one of the best places in the world to see fighter planes flying at low level. No, this isn't the desert world of Tatooine. It just looks like it. The now-famous "Star Wars Canyon" in Death Valley, Calif., is so named for its resemblance to Luke Skywalker's home. Among aviation enthusiasts, though, the place is best known as the best place in the Western U.S., if not the whole of the North America, to watch fighter jets and even transport aircraft practice flying low and fast. WNU Editor: Watching videos like this one never gets old. Omar al-Bashir marks independence day in televised speech, as protesters continue to call for his resignation. Sudanese security forces fired tear gas and live ammunition at hundreds of demonstrators in central Khartoum on Monday as demonstrators attempted to march to President Omar al-Bashir's palace calling on him to step down. Crowds of men and women chanting "freedom, peace and justice" and "revolution is the people's choice" gathered in the capital's downtown area where they were quickly confronted by anti-riot police, witnesses told AFP. LONDON (Reuters) - Security forces clashed with students in Iran on Monday in the third day of protests over a deadly bus crash, online videos showed, adding to officials’ fears that rising public unrest could threaten national security. President Hassan Rouhani has ordered an investigation into the accident at Tehran’s Azad University that killed 10 students last week. Students have protested over the aging transport fleet and lack of accountability from the authorities. A video on Twitter showed students at a campus in Tehran chanting slogans and demanding the resignation of the chairman of the university’s board of trustees, Ali Akbar Velayati, an aide to supreme leader Ayatollah Ali Khamenei. A deadly ambush in a northern province on the border to Mali has prompted Burkina Faso's president to declare a state of emergency. Burkina Faso is battling increased attacks by Islamist militants in the Sahel region. 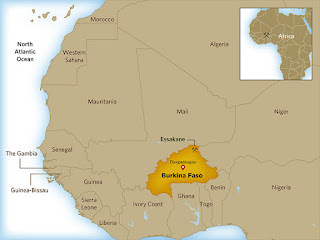 Officials in Burkina Faso announced Monday that President Roch Marc Christian Kabore is declaring a state of emergency in northern provinces following intensified attacks from Islamist groups in the area. "The president has decided to declare a state of emergency in certain provinces of Burkina Faso," Communications Minister Remis Fulgance Dandjinou said after a special cabinet meeting. "He has also given instructions for specific security measures across the country." BEIJING, Dec. 31 (Xinhua) -- President Xi Jinping delivered a New Year speech Monday evening, calling on the whole nation to strive for "an unprecedented and great cause" in the year 2019, the 70th anniversary of the founding of the People's Republic of China. Chinese people, who are self-reliant, hardworking and enterprising, have created a China miracle recognized by the world, he said, vowing to rely on the people and push forward the cause step by step. Iranian boats take part in naval war games in the Persian Gulf and the Strait of Hormuz, off southern Iran, April 22, 2010. 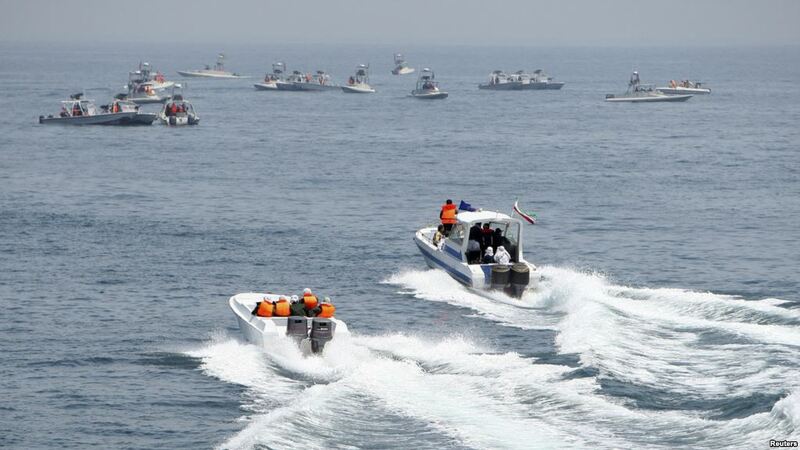 The commander of the Islamic Revolution Guards Corps (IRGC)’s Navy says new speedboats operated by the IRGC will be radar-evading and equipped with new missiles. Rear admiral Alireza Tangsiri made the remarks in an interview with IRNA on Monday, noting that the IRGC’s Navy attaches great importance to high speed and maneuverability in its missions. The World Food Programme has demanded Yemen's rebel Houthi movement stops diverting desperately needed food aid from people in areas under its control. A survey by the UN agency said people in the capital Sanaa had not received rations to which they were entitled. The WFP said lorries were illegally removing food from distribution areas, with rations sold on the open market or given to those not entitled to it. There was no response from the Houthis, but they have denied diverting aid. The UN says some 20 million Yemenis are food insecure and that 10 million of them do not know how they will obtain their next meal. 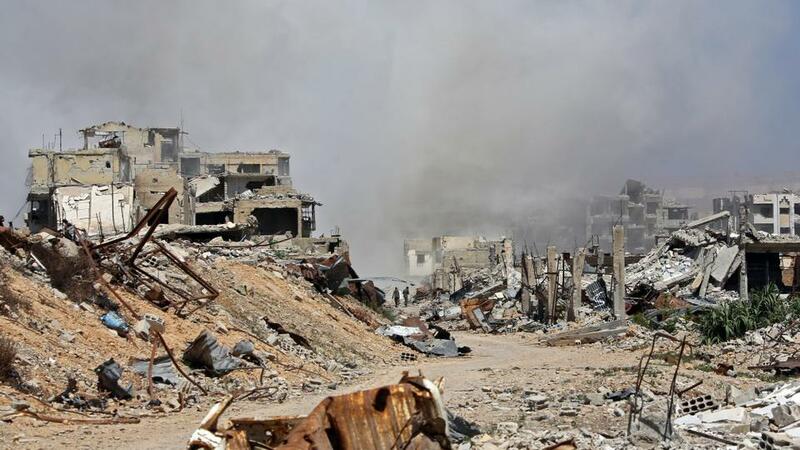 According to figures released by the Syrian Observatory for Human Rights this year's annual death toll is the lowest in the country's close to eight-year civil war but the misery persists for its people as the conflict continues. Syria sees another deadly year with 19,666 people killed including 6,349 civilians, 1,437 of them children, the Syrian Observatory for Human Rights monitoring group said on Monday. "2018 was the lowest annual toll since the start of the conflict," Observatory chief Rami Abdel Rahman told AFP. The death toll for 2017 stood at more than 33,000 and the highest annual figure was reached in 2014 – the year that Daesh proclaimed a so-called "caliphate" over large parts of Syria and neighbouring Iraq – when 76,000 people were killed. 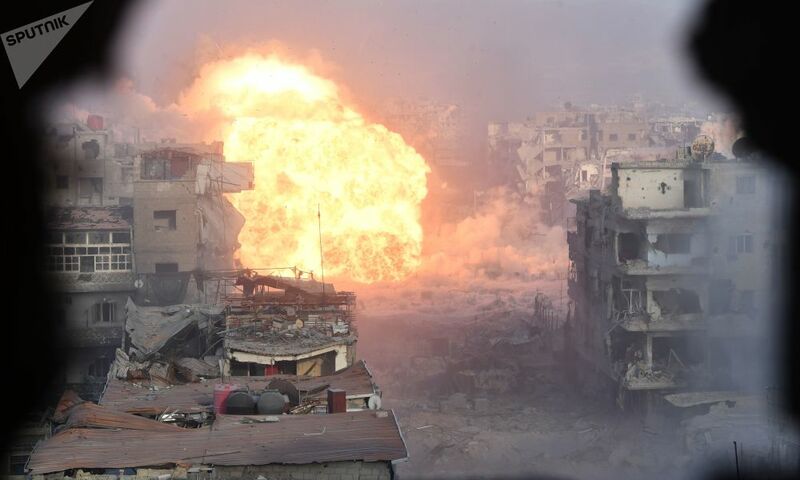 WNU Editor: The total number killed after almost 8 years of war stands at around 400,000. US President Donald Trump has now said the abrupt withdrawal of US troops from Syria he announced earlier this month will be carried out "slowly". "We're slowly sending our troops back home to be with their families, while at the same time fighting Isis [Islamic State] remnants," he tweeted on Monday. His clarification confirmed remarks by Republican Senator Lindsey Graham. When Mr Trump first announced the move, he had said: "They're all coming back and they're coming back now." 2018 death toll Syria war's lowest at under 20,000: monitor. With U.S. departure, Syria's Manbij braces for upheaval. 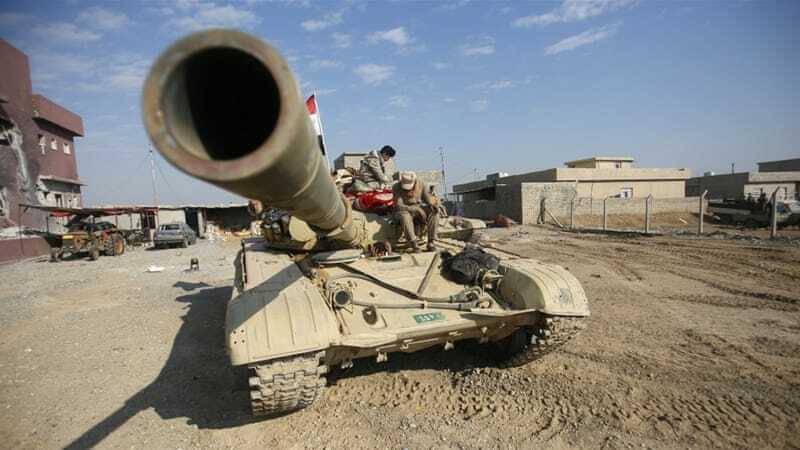 Iraqi warplanes strike Islamic State leaders in Syria - military. Iraq hints at bigger role in Syria after U.S. withdrawal. Houthi shelling in Hodeidah reported after handover accord. Corruption robs Yemenis of food as country nears famine. Mass grave discovered in Iraq's northern Kirkuk province. Saddam Hussein's daughter publishes last message before his death. Palestinian superbug epidemic could spread, say doctors. Taliban holds talks in Tehran on ending Afghan war. Kim Jong-un writes to S.Korean and U.S. leaders. S. Korean presidential top secretary refutes civilian surveillance claim. Hasina wins Bangladesh elections as opposition rejects polls. 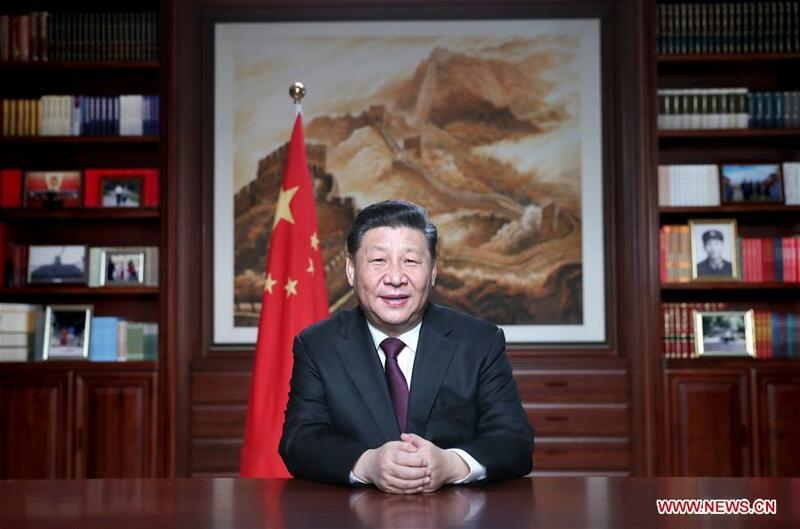 China's President Xi Jinping pledges to continue reforms and open markets in 2019 New Year speech. China says it is 'ready to work with US'. Vietnam seeks to curb Beijing's South China Sea actions: report. 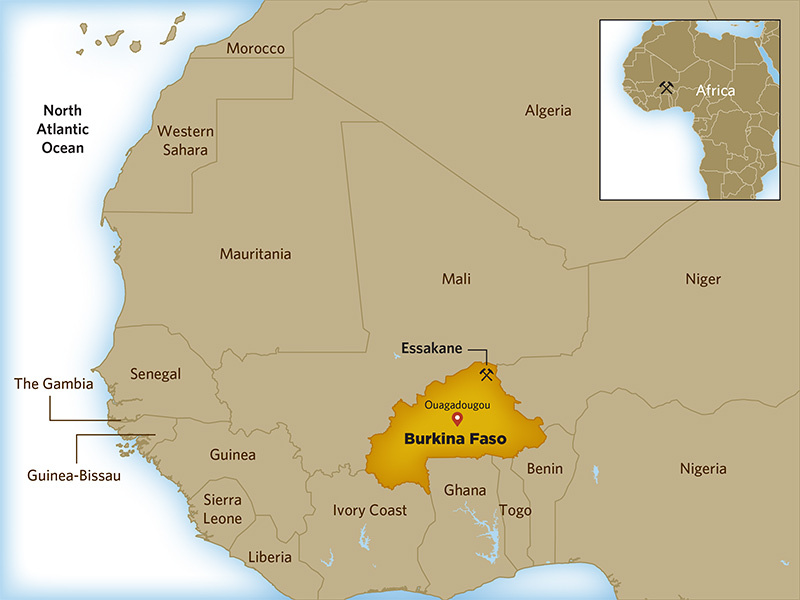 Burkina Faso: Islamist attacks prompt state of emergency. Burkina Faso declares emergency in violence-hit provinces. Sudan riot police stop march on presidential palace. 10 troops killed in Niger border clash with 'bandits'. DRC vote: Opposition says ruling party win would be 'provocation'. DR Congo election: Internet shut down after presidential vote. Zambia's president fires army chiefs. Alleged CAR militia leader Ngaissona to be transferred to ICC. Fears of Zimbabwe health crisis as row over doctors' pay continues. Vladimir Putin sends Donald Trump New Year 'greeting message', says Kremlin is 'open to dialogue'. Russia detains US citizen suspected of spying. Four dead and 40 missing after Russian tower block collapse. Brexit: US ambassador to UK Johnson warns on trade deal. US Ambassador: Major trade deal with UK may not be possible. In France, protests planned amid New Year’s Eve celebrations. Angela Merkel: Germany to take on greater global responsibility. UK and France to step up patrols as boat with 12 Iranians lands in Kent. House Democrats ready bills to reopen government with $1.3 billion for border. Trump insists an ‘all concrete Wall’ was never abandoned. Poll: 8-in-10 call illegal immigration a ‘problem,’ 58% say ‘serious’. Trump's approval holding steady in poll, despite shutdown drama. Warren announces White House bid, getting early jump on 2020 race. Populist leaders to attend Jair Bolsonaro's inauguration in Brazil. Colombia probes alleged plot to assassinate President Iván Duque. US acknowledges additional civilian deaths in fight against ISIS. Iraq sentenced 616 foreigners for IS links in 2018. Egypt police 'kill 40 militants' in raids after tourist bus blast. Russia brings back children of IS fighters from Iraq. Global markets in worst year since 2008. Canada, Japan, Mexico, others ratify successor to failed TPP. Revised U.S.-S. Korea free trade deal takes effect. Cyber-attack disrupts distribution of multiple US newspapers. US troops pulling out of Syria would be leaving their posts from half of the French bases in the region, Turkish media reported Sunday, while exposing the locations of 9 French-occupied sites. There are at least nine French bases scattered across northern Syria, the investigation carried out by Anadolu Agency revealed, noting that France had expanded its presence in the region since March when the media counted only five French bases. * North Korean leader Kim Jong Un's "letter-like" message to U.S. President Donald Trump was delivered on Friday through an unspecified channel, South Korea's Chosun Ilbo newspaper, citing an unnamed diplomatic source. * Both sides have struggled to make progress on denuclearization since the two leaders met earlier this year in Singapore. 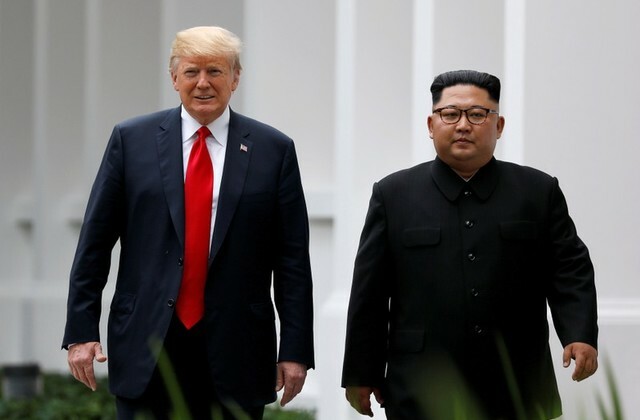 North Korean leader Kim Jong Un has sent a "conciliatory message" to U.S. President Donald Trump amid stalled nuclear negotiations, South Korea's Chosun Ilbo newspaper reported on Monday. Kim's "letter-like" message to Trump was delivered on Friday through an unspecified channel, the newspaper reported, citing an unnamed diplomatic source. The report did not include details about the substance of the message but said they related to U.S-North Korea talks. WNU Editor: The White House has not confirmed receiving this letter. 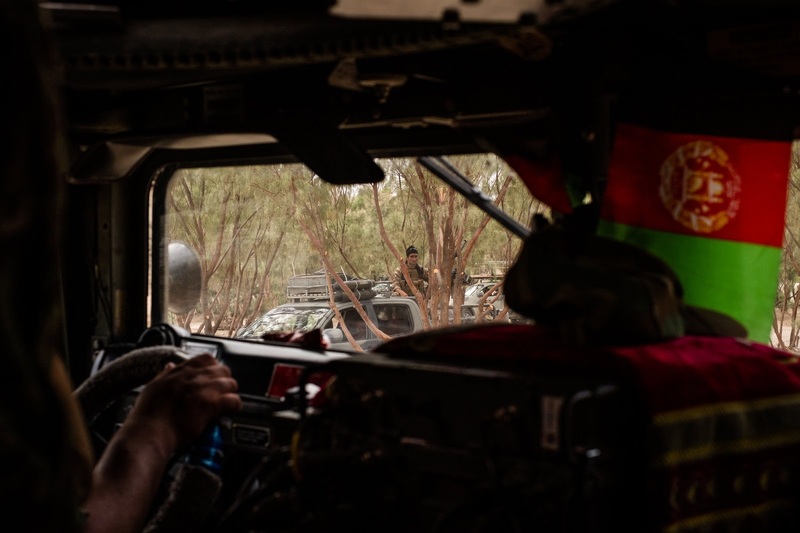 The fighters hold the line in the war’s toughest spots, but officials say their brutal tactics are terrorizing the public and undermining the U.S. mission. NADER SHAH KOT, Afghanistan — Razo Khan woke up suddenly to the sight of assault rifles pointed at his face, and demands that he get out of bed and onto the floor. Within minutes, the armed raiders had separated the men from the women and children. Then the shooting started. As Mr. Khan was driven away for questioning, he watched his home go up in flames. Within were the bodies of two of his brothers and of his sister-in-law Khanzari, who was shot three times in the head. Villagers who rushed to the home found the burned body of her 3-year-old daughter, Marina, in a corner of a torched bedroom. The men who raided the family’s home that March night, in the district of Nader Shah Kot, were members of an Afghan strike force trained and overseen by the Central Intelligence Agency in a parallel mission to the United States military’s, but with looser rules of engagement. 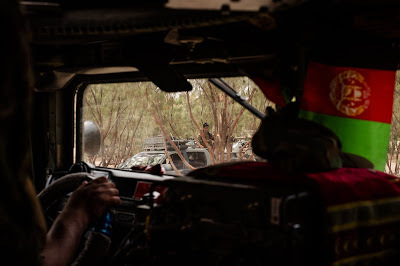 .... At a time when the conventional Afghan military and police forces are being killed in record numbers across the country, the regional forces overseen by the C.I.A. have managed to hold the line against the most brutal militant groups, including the Haqqani wing of the Taliban and also Islamic State loyalists. Russia's Federal Security Service (FSB) says it has detained a U.S. citizen in Moscow over suspected spying. The American -- identified as Paul Whelan -- was detained on December 28 and a criminal probe had been opened, the FSB was quoted as saying by the state-run TASS news agency on December 31. The TASS report said Whelan could face between 10 to 20 years in prison if found guilty but disclosed no further details. The announcement comes a day after Russian President Vladimir Putin said Moscow remained open to dialogue with Washington in a New Year's greeting to U.S. President Donald Trump. Tehran (AFP) - Iran said Monday that the Afghan Taliban have visited Tehran for a second round of peace talks in just a few days aimed at bringing an end to 17 years of conflict. Iran has made a more concerted and open push for peace in neighbouring Afghanistan since US President Donald Trump indicated there would be a significant withdrawal of American troops. "Yesterday (Sunday), a delegation of Taliban were in Tehran and lengthy negotiations were held with Iran's deputy foreign minister... (Abbas) Araghchi," said spokesman Bahram Ghasemi at a televised news conference. WNU Editor: The Taliban are now clearly going full-out in building an international consensus on how the region should react to a Taliban government in Kabul. And the region is hedging its bets that they may succeed. Patrick Shanahan, who will become acting Defense secretary on Jan. 1, will immediately find himself with a full plate of challenges. The issues that led to Defense Secretary James Mattis’s resignation — troop withdrawals from Syria and Afghanistan — will still be fresh, with several questions about what comes next for Shanahan to answer. Other geopolitical hotspots and domestic issues alike threaten to flare up shortly after Shanahan takes the reins. And there’s always the possibility of something unexpected emerging from President Trump or a volatile world scene. On his first day on the job, Saturday, Jan. 21, 2017, Secretary of Defense Jim Mattis spent four hours at the Pentagon. He had in-briefings, met with Chairman of the Joint Chiefs Gen. Joseph Dunford. He even had to take a urine test, like every other service member and civilian employee. He also sent out a carefully thought-out message to every service member and defense civilian employee. 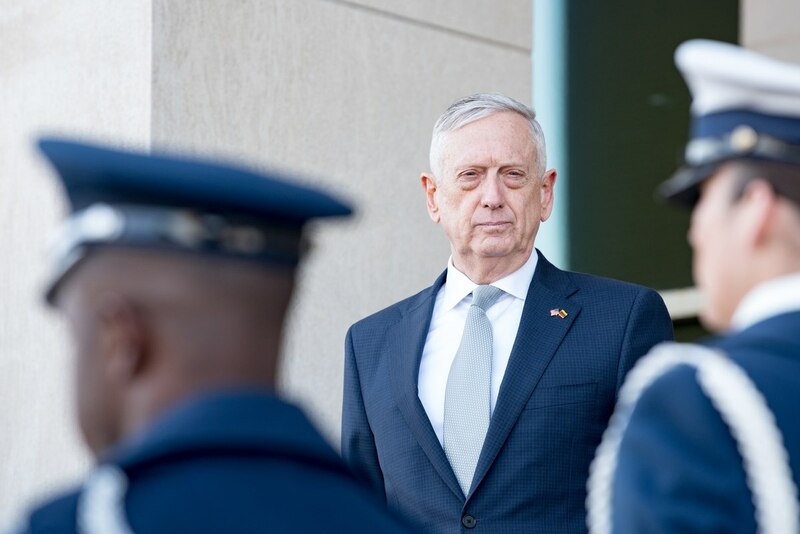 WNU Editor: This is how the transfer of authority will occur .... On New Year's Eve, A Brief Phone Call Will Mark The End Of Mattis' Tenure As Defense Secretary (Task & Purpose). 23 charts and maps that show the world is getting much, much better https://t.co/OYEfZcTSkD Is true. WNU Editor: The above picture came from this photo-gallery .... 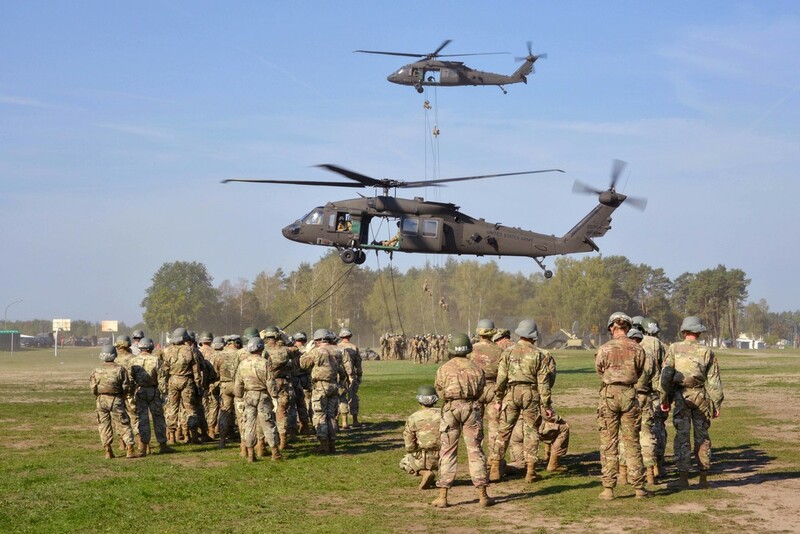 Soldiers Conduct Rappelling, Ruck March During Air Assault Course in Germany (US Department of Defense). * Senator Lindsey Graham may have changed President Trump's mind about pulling troops out of Syria. * "I think the president's going to finish the job when it comes to ISIS," Graham told reporters after meeting with President Trump Sunday. * Trump's decision earlier this month to order his staff to execute the "full" and "rapid" withdrawal of US military from Syria was met with harsh criticism from Republicans and Democrats alike. "We are in a pause situation," said Senator Lindsey Graham on pulling out US troops from Syria. After a White House lunch with President Trump, Graham indicated that Trump may have changed his mind on on the highly criticized decision to pull out of Syria. 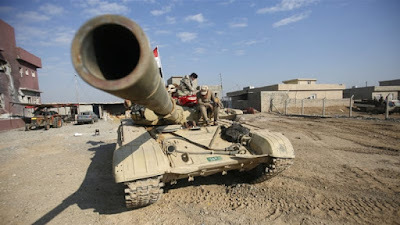 BAGHDAD (Reuters) - Iraq’s prime minister said on Sunday that top security officials from Baghdad had met Syrian President Bashar al-Assad in Damascus, and hinted at a bigger Iraqi role fighting Islamic State militants as U.S. troops withdraw from Syria. “This issue has a lot of complications,” Adel Abdul Mahdi told reporters, referring to U.S. President Donald Trump’s surprise announcement this month that he will withdraw U.S. forces from Iraq’s neighbor. WNU Editor: The Syrian government has given the authorization to Iraq to launch air strikes against ISIS targets in eastern Syria .... Syria's Assad authorizes Iraqi forces to strike IS in Syria (AP). More here .... Damascus allows Iraq to hit ISIL targets in Syria: State media (Al Jazeera). This announcement comes after this meeting .... Assad Receives Iraqi National Security Adviser in Damascus (Sputnik). Will 2019 see an increased chance for military confrontation in Asia? 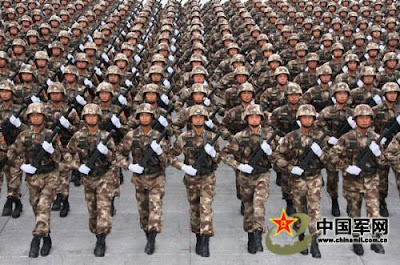 The 2019 security outlook for Asia, as in past years, is dominated by a number of regional flashpoints that include the Korean Peninsula, the South and East China Seas, as well as the Taiwan Strait, all of which have the potential to trigger a military confrontation. Nonetheless, there appears to be a reduced risk for open military clashes in all of the four cases in the next 12 months. Simultaneously, 2019 will likely see an intensification of the war in Afghanistan, amid ongoing peace negotiations and the suggested withdrawal of 7,000 U.S. troops from the country; the presidential election scheduled for the spring may be postponed. Other areas our readers should watch include: a possible uptick in violence in Jammu and Kashmir as a result of the 2019 Indian general elections, the usual chance of South Asian border disputes getting out of control, and increased naval competition between India, China, and Pakistan in the Indian Ocean. Naval competition is especially noteworthy as all three states are in the process of fielding, or already have deployed, nuclear-armed submarines. WNU Editor: The world has seen many arms races in its history, but I think there is a very real possibility that in the next decade Asia will dwarf all past arms races .... including what happened during the Cold War. What does not help the situation is the history and cultures of the region. While culturally Asia is very old, politically they are still immature. They do not have the alliances and safeguards that Europe and the U.S. have put in place since the Second World War that has kept (more or less) the peace in Europe. Absent these political and international structures in Asia, there is no way that flash points and disputes can be brokered amicably and without the use of violence. And while past conflicts were limited, today's advanced weaponry and destructive capabilities can make a small border conflict escalate into something far bigger and devastating. In the middle of all of this is China. They want to be the super power in Asia. Will they use their military dominance to achieve this .... that is a question that still remains unanswered. 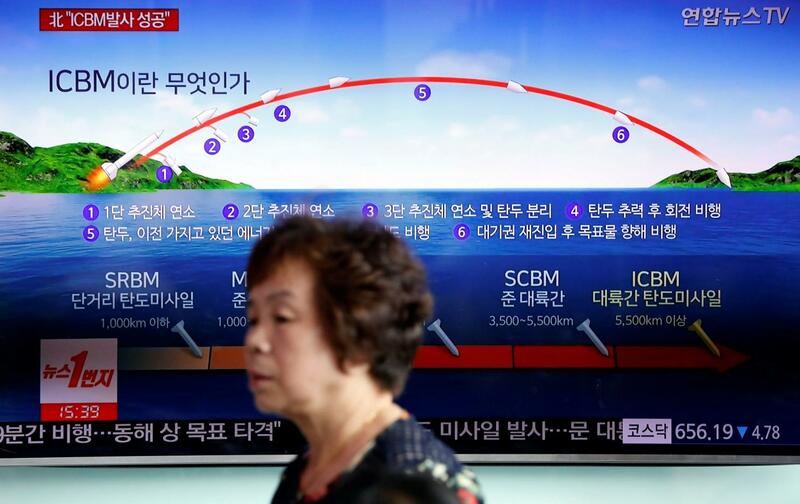 Could North Korea and Iran Could Acquire Hypersonic Weapons? It is extremely likely that Tehran and Pyongyang will acquire hypersonic missiles, according to a senior U.S. general. It is extremely likely that Iran and North Korea will acquire hypersonic missiles, according to a senior U.S. general. WNU Editor: Only three countries are currently developing hypersonic weapons (U.S., Russia, and China), and they are doing so at great cost while overcoming many technical and engineering difficulties. Can North Korea and Iran develop and deploy hypersonic weapons .... for the moment no. But in the future .... anything is possible. 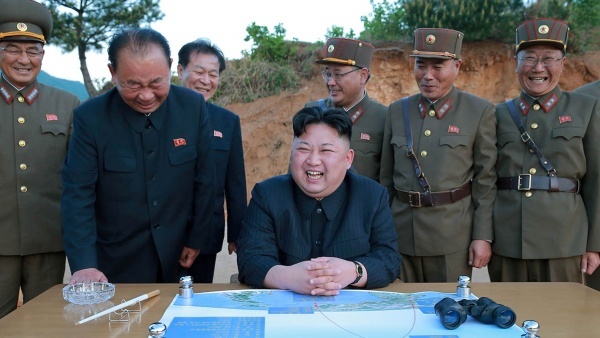 North Korea has continued to develop its nuclear missiles, despite pledging to ditch the weapons programme earlier this year - it has been revealed. The hermit kingdom is said to have conducted a missile-linked radio wave experiment earlier this month after signals were picked up which are known to have been emitted from warhead equipment - according to the Japan News. Leader Kim Jong-un declared an end to missile launches earlier this year after a crunch summit with US President Donald Trump in Singapore in June. The U.S. military, Japan Self-Defense Forces and South Korean military are constantly monitoring North Korea for radio waves. A Long March 2D rocket lifts off Saturday from the Jiuquan space base in northwestern China’s Inner Mongolia region. Credit: China Aerospace Science and Technology Corp. 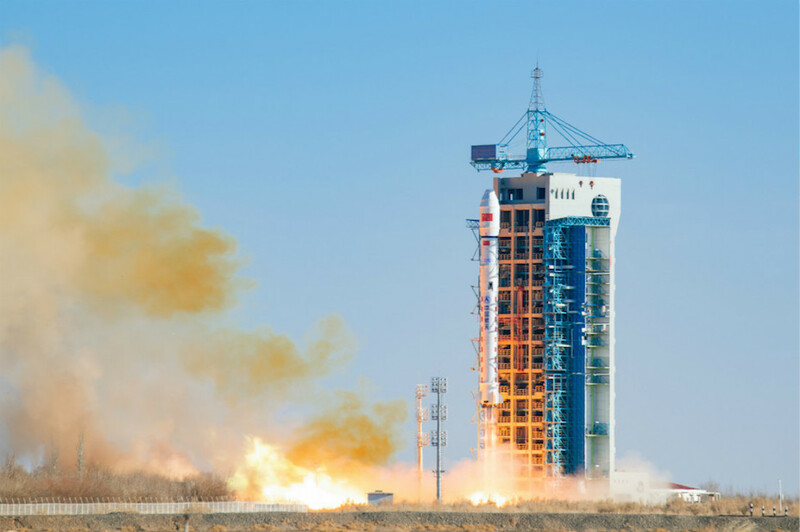 While commercialization has become a common noun in a world that's being propelled by business innovation, its usage in the space sector remains something new, which is especially true with China's space missions. Nonetheless, with the country's Long March carrier rocket series and an array of space start-ups gaining increased global attention, space commercialization is springing into a high frequency phrase. In an exclusive interview with Global Times reporter Li Qiaoyi (GT) earlier in December in Zhuhai, Yang Yiqiang (Yang), the first commander-in-chief of the Long March 11 solid-fuel carrier rockets project, described policy priorities and to-do lists toward turning China into a major space power. KHARTOUM, Sudan — The civil war in Darfur robbed Hager Shomo Ahmed of almost any hope. Raiders had stolen his family’s cattle, and a dozen years of bloodshed had left his parents destitute. Then, around the end of 2016, Saudi Arabia offered a lifeline: The kingdom would pay as much as $10,000 if Hager joined its forces fighting 1,200 miles away in Yemen. Hager, 14 at the time, could not find Yemen on a map, and his mother was appalled. He had survived one horrific civil war — how could his parents toss him into another? But the family overruled her. “Families know that the only way their lives will change is if their sons join the war and bring them back money,” Hager said in an interview last week in the capital, Khartoum, a few days after his 16th birthday. 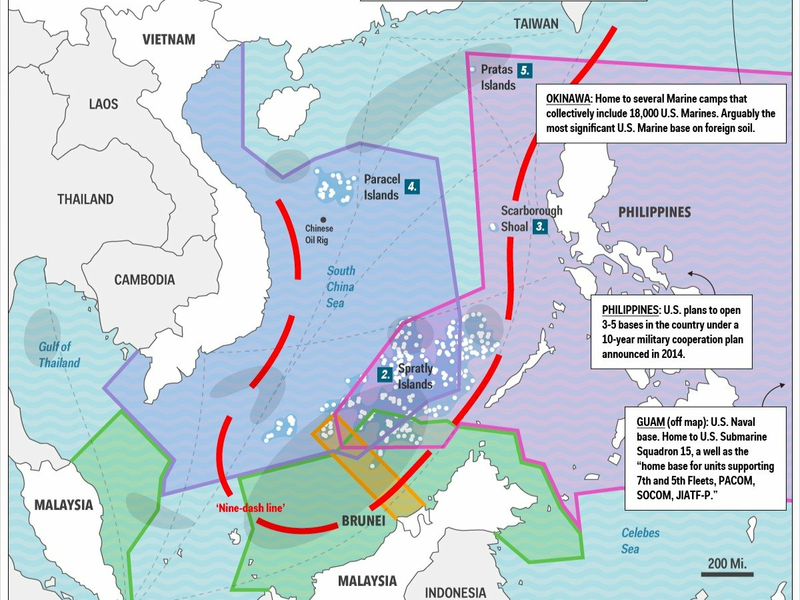 A map shows different nation's claims to the South China Sea. 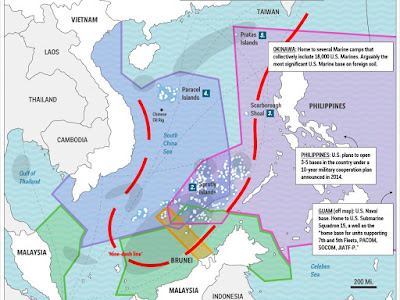 HONG KONG (Reuters) - Tough negotiations lie ahead over a new pact between China and Southeast Asian nations aimed at easing tensions in the South China Sea, as Vietnam pushes for provisions likely to prove unpalatable to Beijing, documents reviewed by Reuters suggest. Hanoi wants the pact to outlaw many of the actions China has carried out across the hotly disputed waterway in recent years, including artificial island building, blockades and offensive weaponry such as missile deployments, according to a negotiating draft of the ASEAN Code of Conduct (COC) seen by Reuters. The draft also shows Hanoi is pushing for a ban on any new Air Defence Identification Zone - something Beijing unilaterally announced over the East China Sea in 2013. Chinese officials have not ruled out a similar move, in which all aircraft are supposed to identify themselves to Chinese authorities, over the South China Sea. WNU editor: Here is an easy prediction. China is not going to compromise. Shiite rebels said they handed over control of the key Red Sea port of Hodeida to local officials as part of a ceasefire deal with Yemen's Saudi-backed government. But pro-government forces have cast doubt on the claim. Shiite Houthi rebels have begun to withdraw from the key port in the Red Sea city of Hodeida as part of a deal reached in peace talks in Sweden earlier this month, a United Nations official said Saturday. But the Yemeni government has disputed the withdrawal claim, calling it a ploy by the rebels to maintain control of the strategic area. 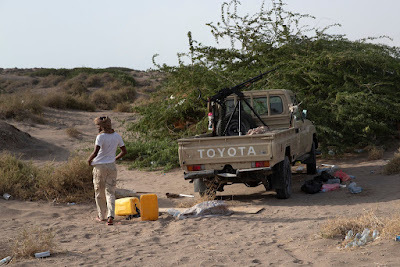 Military and local Hodeida officials loyal to the government have said the Houthis placed loyalist administrators and fighters in both the port management and the coast guard. "It's a stage play in which the Houthis handed over the port to their fighters after they put on coast guard uniforms," said Hodeida Governor al-Hassan Taher. Another pro-government official has called on the UN to put in place a "clear mechanism" to ensure a fair recruitment process at these facilities. Here is all we know. Key point: "At the core of the F-16 Block 70 is the Northrop Grumman APG-83 Active Electronically Scanned Array radar, which is based on technology leveraged from the F-22 Raptor and the F-35 and can track more than 20 targets simultaneously." 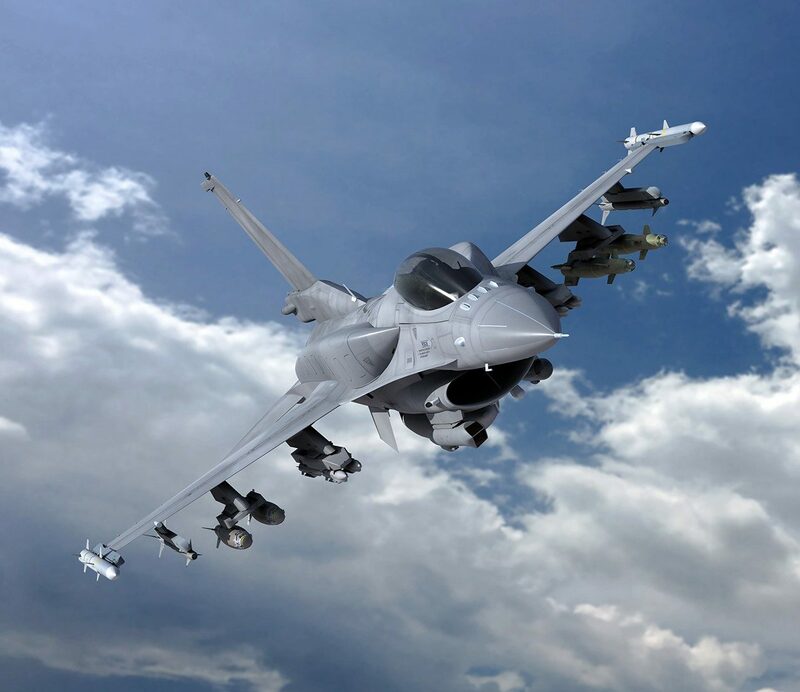 Lockheed Martin has received a massive $1.12 billion contract from the U.S. government to produce 16 advanced F-16 Block 70 Fighting Falcons for Bahrain. The “undefinitized contract action award” means that the Royal Bahraini Air Force will become the first operator of the most advanced and capable version of F-16 ever designed. Moreover, unlike previous versions of the F-16—which were built in Fort Worth, Texas—these new “Vipers” are to be manufactured in Greenville, South Carolina. WNU Editor: The old F-16 was a formidable plane. These improvements will make it even more formidable. When the U.S. government put out its latest sanctions list on Dec. 19, the man named at the top did not seem especially important. Described in the document as a former Russian intelligence officer, he was accused of handling money and negotiations on behalf of a powerful Russian oligarch. The document did not mention that the man, Victor Boyarkin, had links to the 2016 campaign of President Donald Trump. A months-long investigation by TIME, however, found that Boyarkin, a former arms dealer with a high forehead and a very low profile, was a key link between a senior member of the Trump campaign and a powerful ally of Russian President Vladimir Putin. WNU Editor: According to Time the mysterious Russian person identified as "V" by the Mueller investigation is Victor Boyarkin (not Vladimir Putin as some were speculating a few months ago). As for Russian Oligarch Oleg Deripaska connections to Paul Manafort and the money that Manafort owes him, that is old news. I am also skeptical of the Time's report claiming that this former intelligence officer is close to Russian President Putin. They provide no proof .... just the claim that he knows people who know people in the Kremlin. So what is the big story here .... according to Time a former GRU agent turned businessman was used in trying to retrieve money that Paul Manafort took (and did not pay). That is about it. And as to the big question .... was Paul Manafort pressured to give information and/or did he offer something to pay off his debt? From what I have read so far .... the answer is no. I have been involved in numerous computer science projects since the 1980s, as well as developing numerous web projects since 1996. These blogs are a summation of all the information that I read and catalog pertaining to the subjects that interest me.